Today’s #SundaySupper event is a celebration of regional cuisine. 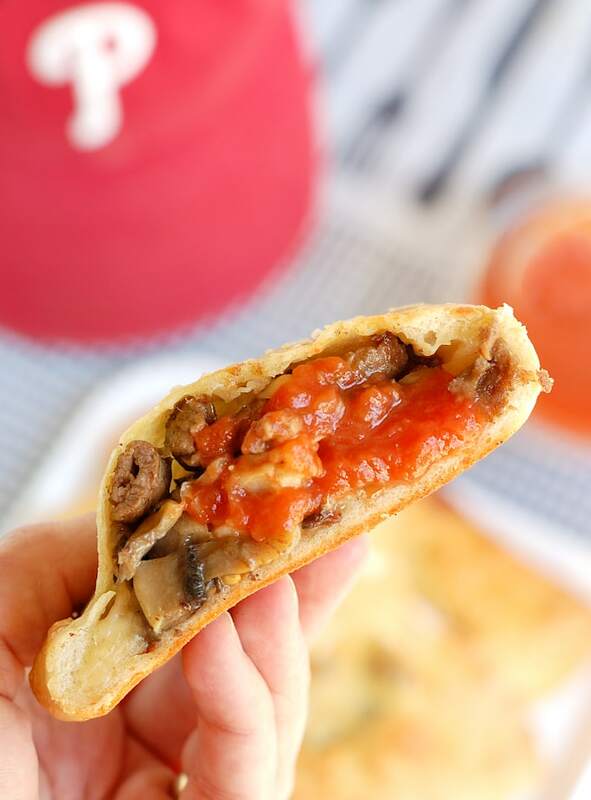 I am so happy to show you how to make a Philly Cheesesteak Calzone, a twist on the most iconic dish from the Philadelphia region. I’m a born and bred Jersey girl and proud of it (Bruuuuce!). But I’ve lived in the Philadelphia area for almost 30 years. I went to school in Philly, I do a lot of business in Philly, we bought our first house here and raised our children here. This is now home. Philadelphia is a great city for so many reasons. Did you know it’s the only World Heritage City in the United States? Yes, it’s true. Of course there are the wonderful historic places to visit; the Liberty Bell, Independence Hall and the Constitution Center. Philly is also home to world class universities and the singular Mummers. If I haven’t convinced you yet how great my adopted city is, let’s talk about food. Philadelphia is definitely one of the great restaurant cities in the US. It’s always on those “Best Of” lists that are published every year. Reading Terminal Market and the Italian Market are favorite foodie destinations. Philly’s most famous dish has got to be the Cheesesteak Sandwich. The Cheesesteak is so iconic it has a Wikipedia page. 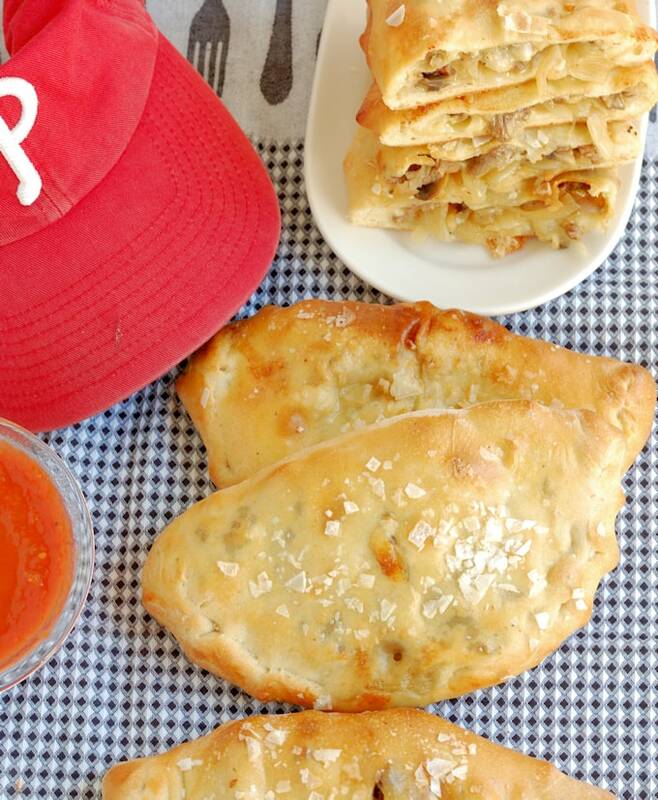 I knew I wanted to do a version of Cheesesteak for the #SundaySupper Regional Specialties event since it is Philly’s most-special regional-specialty. I thought about doing a sandwich, but for a real Philly Cheesesteak you need a very particular type of roll that most folks won’t have access to. 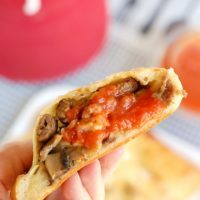 Since this is a baking blog, I decided to turn the cheesesteak into a calzone using my Pizza Dough recipe. The beef must be sliced paper thin. 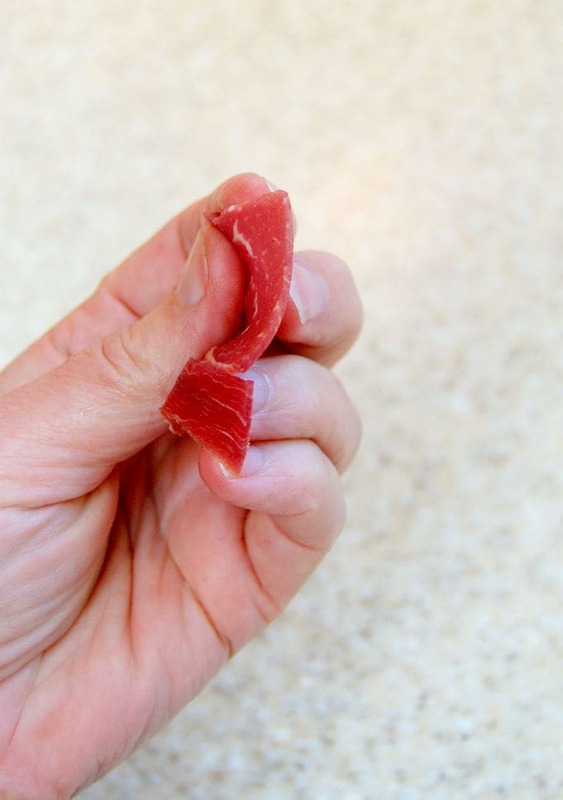 Use a sharp knife and partially frozen meat to get thin slices. Use two spatulas to break up the meat while it’s cooking. Don’t overcrowd the pan. I’ve had so-called “Philly Cheesesteaks” in other areas of the country and what they most often do wrong is to make the sandwich with thick slices of steak, or, even worse, roast beef. A few notes on the recipe; I made the filling once using ribeye and once using strip steak. I preferred the ribeye and my husband preferred the strip steak. Ribeye is more traditional, but use whichever you prefer. The main thing to remember for the steak is that is must be sliced paper thin. It’s easiest to get paper thin slices by cutting partially frozen (or partially thawed) steak with a very sharp knife. While the beef is sauteing, use two spatulas to break the larger pieces into smaller bits. I made my calzones wit (not a typo, google “cheesesteak wit”) onions, mushrooms and provolone because that’s how I like my cheesesteaks. You can eliminate either the onions or the mushrooms, or both, according to your taste. You could use American cheese or Cheez Whiz (eeeww, sorry, I just think the stuff is gross) instead of the provolone. The assembly is pretty straight forward. You can see the steps in the diagram above. Make sure to roll the dough from the center over the edge of the dough, all around the circle. Leave the center of the dough a little thicker than the edges. This way the dough is less likely to tear when you fold the dough over the filling. Also, with thinner edges you won’t get a super thick crust that takes too long to bake. I served the calzones with marinara. You could also squirt a little ketchup into the calzone if that’s your preference. If you have any leftover they can be frozen and reheated in the oven. 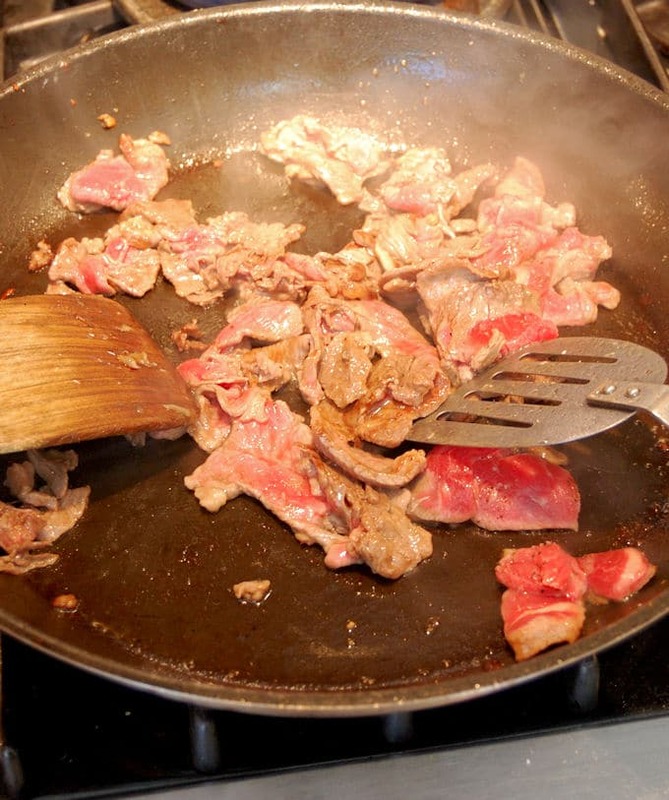 Add a little more olive oil to the pan and saute the steak slices with salt and pepper to taste. Divide the pizza dough into 6 equal portions and form each portion into a smooth ball. Cover the dough balls with a damp towel or plastic wrap and allow to rest for 10 minutes. 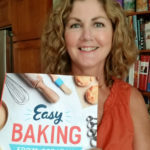 Using a rolling pin, roll each dough ball into an 8" round, leave the center of the rounds a little thicker than the edges. Brush the entire perimeter of the round with egg wash.
Place a slice of provolone on each dough round. Fold the dough over the filling. Bring the top edge of the dough 1/2" short of the bottom edge. 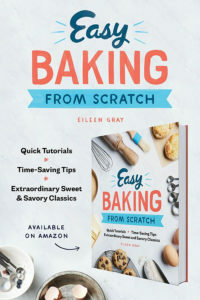 Use your fingers to pull the bottom edge of the dough over the top edge of the dough and pinch to form a tight seal. 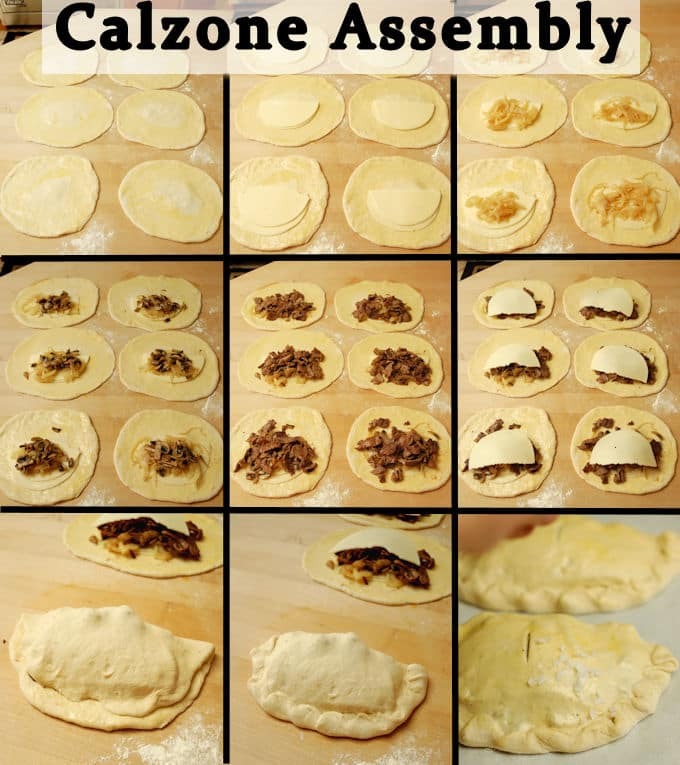 Place the calzones on a parchment lined 1/2 sheet pan. You should fit 3-4 per pan. Bake until they are golden brown and puffed. Serve with your favorite marinara sauce or ketchup. You took a great dish and made it better! So much better! Thanks, Kristen. They are pretty tasty. What a great dish! Both dough and filling look scrumptious! Thanks, Pam. It’s a pretty easy dough to work with. I’ve been to Philly a few times but never made it to the famous places for an authentic cheesesteak. I think I can make these and know just what they should taste like. Thanks, Christie. I hope you give them a try. This is an absolute brilliant twist on a classic taste! This is genius – combining two classics in one! I love calzones. I love Philly cheesesteak. I’m OBSESSED, though, with this combo. Not sure how I’ve never thought to try this before, but it’s going on the Campbell menu ASAP! Thanks, Karly. Hope you give it a try. Let me know how they turn out if you do. Hi Cathy. I’ll admit they’re not exactly light fare, but probably a little better than a big sandwich. Nice touching base with a “neighbor”. That’s true, Wendy. Thanks for reading. I like real cheese on mine too. I’m not a Cheez whiz fan! I love Cheese steaks! and making them into a calzone ? Yes! You can’t find these traditional foods anywhere else! Thanks for the calzone idea! That’s true. That’s what’s so fun about regional foods. These would be perfect to serve at a game day party! Can’t wait to make them! Thanks Sarah. They can be made ahead so they really are great party food. You’re welcome, Maria. Thanks for visiting my blog. Can you believe I’ve never had a Philly Cheesesteak???! I’m going to change that, but I want your calzones first! Wow! Thanks, Liz.I hope you give it a try. 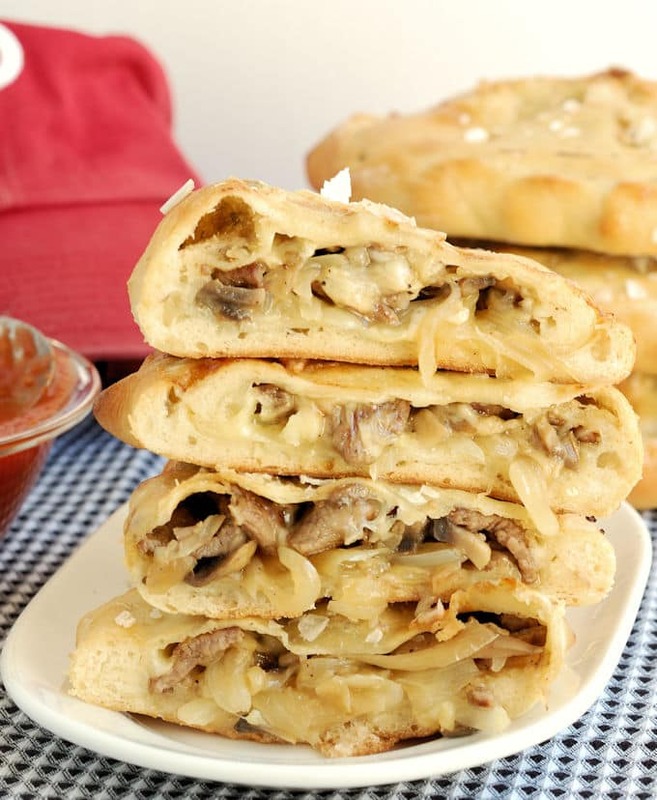 These are what regular old calzones dream about being. Seriously though, just looking at the photos made my stomach growl. I’m hungry now and it’s too soon for lunch.